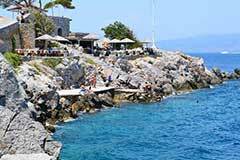 Hydra has got a lot of beaches with rocks or sand and pebbles. 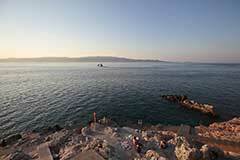 You have got access to them on foot, with donkeys or sea transportation means. Common characteristic of these beaches are the crystal clear blue waters. 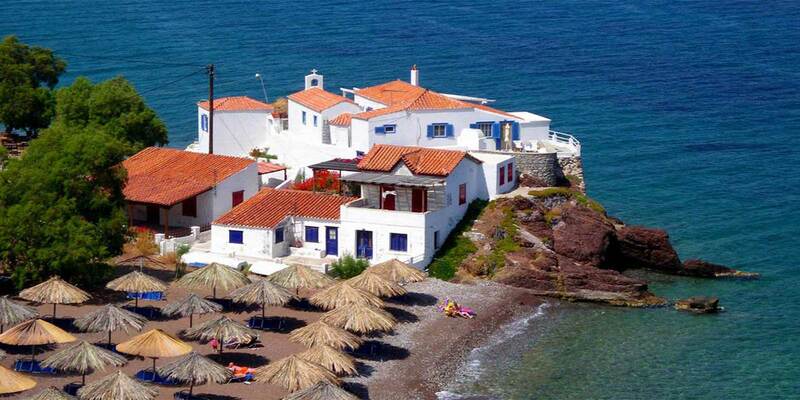 of going on foot to very beautiful close-by beaches, in a short time. 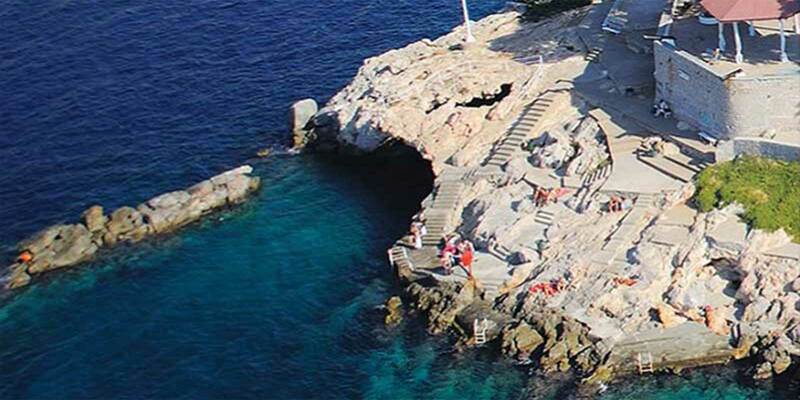 700 meters away from the guest house, at the rocks outside the main port, is a popular beautiful rocky area with deep blue water, called "Spilia", which is ideal for diving. Some rocks can be used for sunbathing. There is a cafe-snack there to have a cup of coffee, a drink, a light meal or a fresh juice. 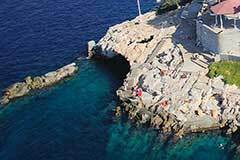 Next to Spilia lies Idroneta, which is located to the most beautiful place, under the cannons and on the rocks, to the same area as Spilia. 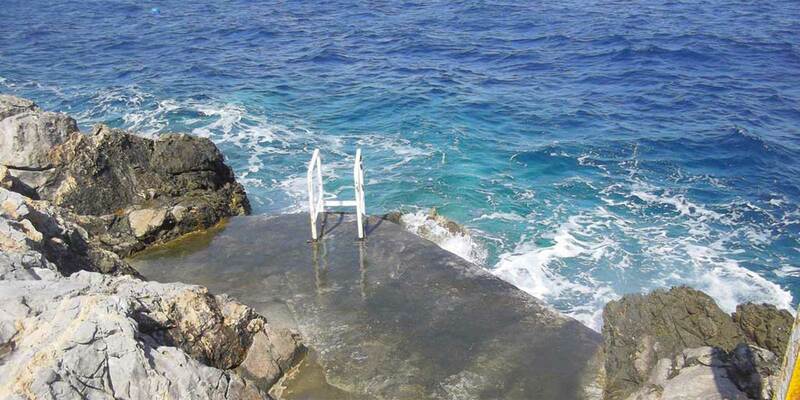 You can also deep dive here and sunbathe on the cemented rocks. 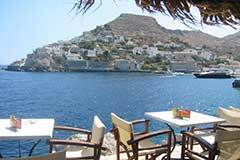 There is a cafe-snack there to have a cup of coffee or a drink and also a restaurant with limitless sea view. 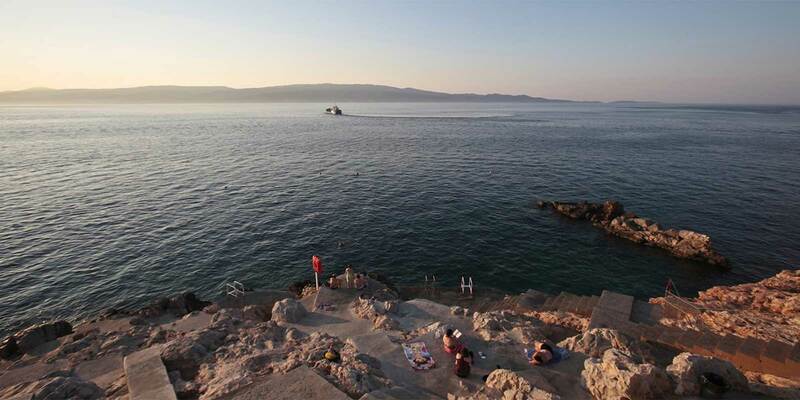 After Idroneta there is Avlaki, one amazing small beach full of pebbles which is lighted at the night. 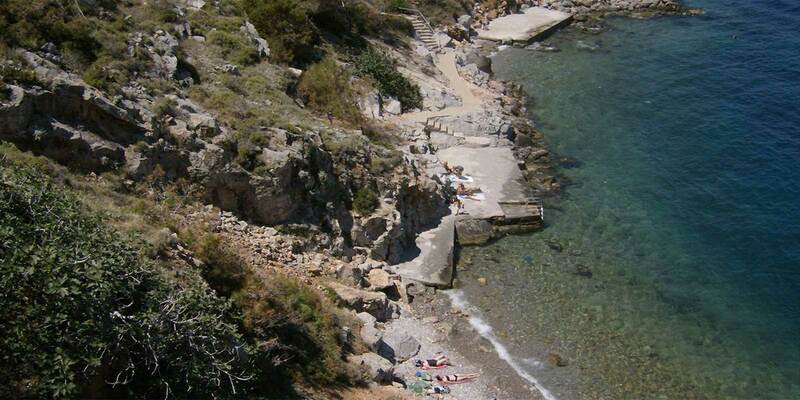 You descend from some stairs right after Idroneta and you meet the beach with blue green waters and sunbathe places. 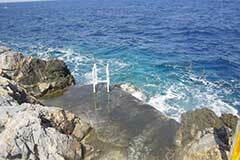 It is situated between the old bridge of Agia Anna and the Boudouri Manor. 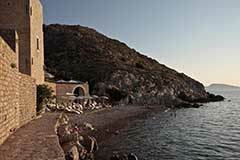 Following the coastal road, 10 minutes after Avlaki, we reach Kamini, one small and natural port full of fishing boats. 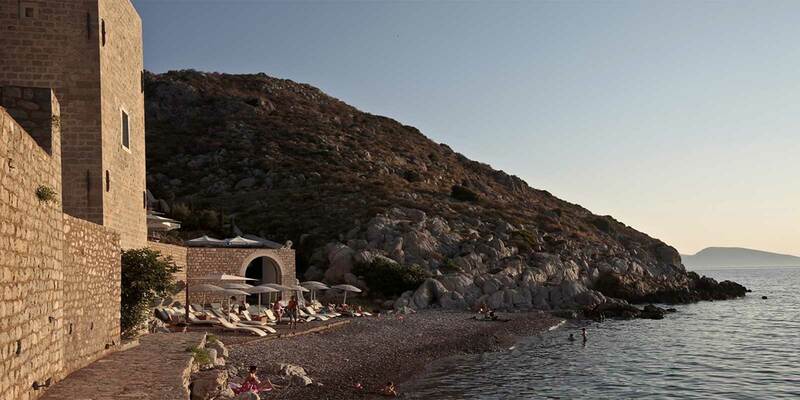 Right next to it, there is Small Kamini, a beautiful small pebbled beach with a beach bar-restaurant, ideal for children and sea games. 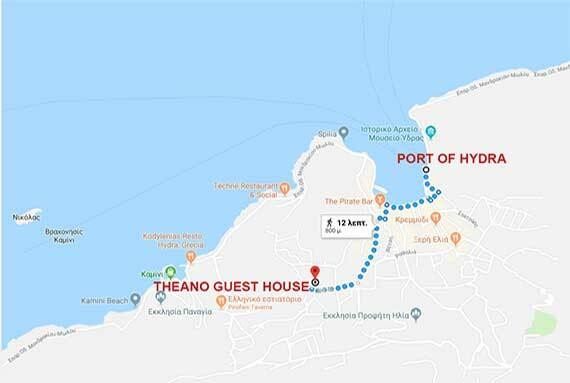 Starting from the guest house and following the road towards Kaminia, in less than 10 minutes, we reach "Mikro Kamini" where there is the "Castello beach", a small beautiful and organised beach with a beach bar-restaurant, ideal for children and sea games. 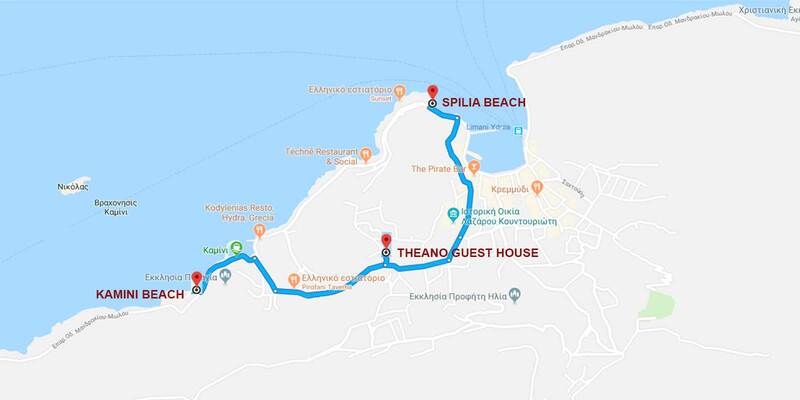 If you want you continue the coastal road, after "Mikro Kamini", we reach in 10 minutes the traditional coastal settlement of Vlichos with amazing view and beautiful sunsets. The place is ideal for families. 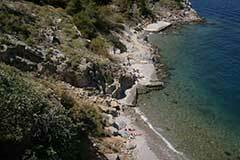 The organised picturesque beach of Vlichos has grey and reddish small pebbles, also crystal clear waters, ideal for kids. 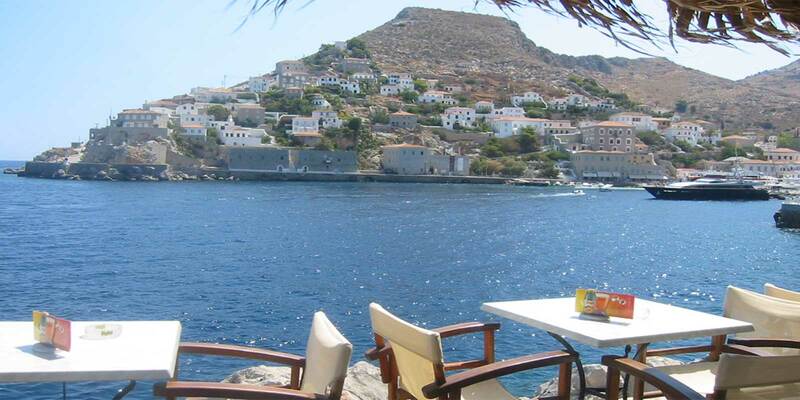 This beach is popular with traditional small tavernas, fresh fish and greek food.